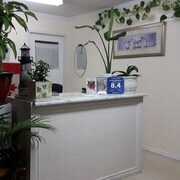 Excellent rooms, pleasant staff and next door to Boston Pizza. Clean, spacious room. Convenient location, good parking. Where to find Port Elgin hotels near an airport? Where can I find hotels in Port Elgin that are near tourist attractions? 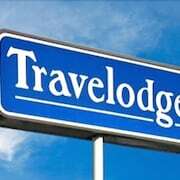 So, are you traveling through Owen Sound and are looking to reserve a hotel or apartment in the Port Elgin area? You'll find 9 Expedia-listed accommodation options within a 0.1-kilometre (0.06-mile) distance of the downtown area. 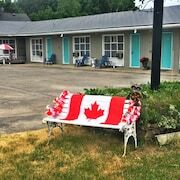 Port Elgin offers travelers some centrally located hotels, including the The Maplewood Motel and All Seasons Motel. 35 kilometres (21 miles) away from the center of Port Elgin, is the Holiday Inn Express Hotel & Suites Kincardine - Downtown. The Quality Inn is located 7 kilometres (5 miles) away. 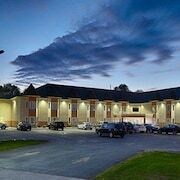 Alternative hotels are the Super 8 Port Elgin and the Best Western Plus Governor's Inn. Time permitting, you should travel to other places in Southern Ontario. Photographers will love Southern Ontario's beaches. In addition you could visit its traditional villages, churches and art museums. Adventurous travelers can try their hand at skiing here. The closest places to stay in Owen Sound include Kincardine and Wiarton. Kincardine is 35 kilometres (22 miles) to the southwest of Port Elgin, while Wiarton is 40 kilometres (25 miles) to the northeast. 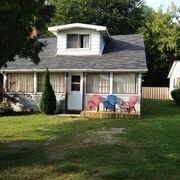 Hotels and apartments in Kincardine are the Save Inn Kincardine and Southsider Motel. 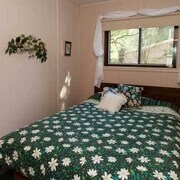 While apartments include the Wiarton Willy's Inn and Top Notch Restaurant & Motel. If you are really into sports and like to watch games you might choose to make a trip to Harry Lumley Bayshore Community Centre, which is 40 kilometres (24 miles) to the northeast of Port Elgin. Sports fans wishing to stay nearby can make a choice from the Best Western Inn On The Bay or the Comfort Inn Owen Sound. Before you head out the door to Port Elgin, take the time to visit our Port Elgin travel guide where you'll be able to get the inside scoop the numerous things to do this great place has to offer. What are the most popular Port Elgin hotels? Are there hotels in other cities near Port Elgin? 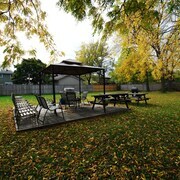 What other types of accommodations are available in Port Elgin? Explore Port Elgin with Expedia.ca’s Travel Guides to find the best flights, cars, holiday packages and more!